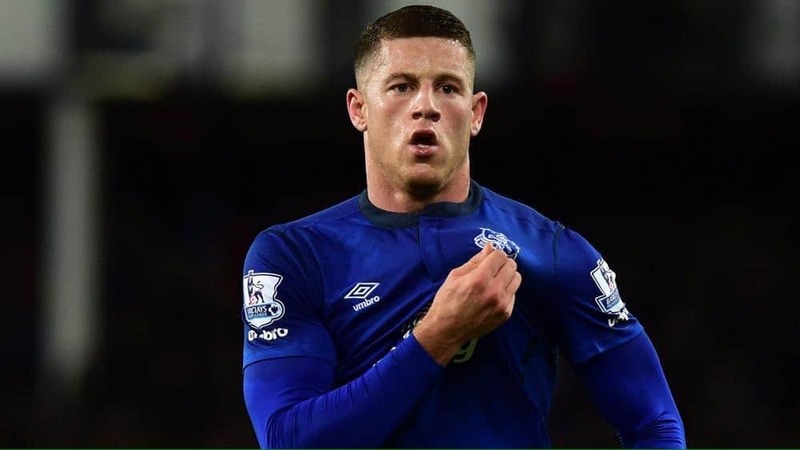 Ross Barkley – midfielder or forward… Instinct versus anything else. Having tested the water with our defender/midfielder question over John Stones, ar kid and I offer a similar question and our thoughts on our diamond – Ross Barkley – in considering what’s his best position – midfielder or forward? Two of the best footballers – amongst hundreds we hasten to add – we can instantly recall are Zinedane Zidane and darn our luck, Wayne Rooney. Both of them, on their day – and another part of their glory is they did and have had a lot of ‘their days’ – you had/have the feeling that whatever decision they made/make – that it was/is the best possible option, with the exception of nutting Matterazi maybe. They have such talent in their dna, they didn’t/ don’t seem to think about what to do and how to do it, they just get on with it. It’s not stretching things too far to suggest that both ZZ and Wazza had/have massive and brilliant peripheral vision, they see so much if not everything around them. Now Ross is not in that class, and from what we’ve seen, we don’t think he ever will be as he simply doesn’t appear to have that mind-set, that vision, that picture in his minds’ eye of ‘The Game As A Whole’. That might seem cruel, but we’re of the opinion that what Ross does have is the physical footballing gifts at least as good and as natural as those two and so to our mind, he needs to play in a position where those gifts can and will do the maximum amount of damage to his opponent, as quickly and as often as possible. To our mind, Ross has demonstrated pretty conclusively that he is not a central midfielder, in fact ar kid goes so far as to suggest he’s not any kind of midfielder at all. He bases this viewpoint on the following… “Ross doesn’t (seem to) want to tackle, he’s not a natural closing-down player, and so in essence he’s not defensively minded at all and actually that should be celebrated and hugely encourage. Others are better suited to that, and I want to see him driving forward, imposing himself upon the opponents and hurting them”. I agree and so together we contend and put it out there that Ross is better suited playing further forward, potentially much further forward. When El Bob was experimenting with Romelu Lukaku and Arouna Kone as a strike partnership, ar kid – from the armchair of his house in France, or a pub barstool admitted to regularly grumbling and screaming at the telly screen as Ross ambled around not dominating or setting his stall out to run the game… in much the same way as many of did from our seats inside the Grand Old Lady. Through much of last season, certainly post Christmas, too often Ross dallied in possession. Ross got the ball, looked around, ran, stopped, turned and then had another look around and this led to him getting caught out by hounding midfielders. Discussing Ross, we’ve come to the conclusion that. “Ross thinks too much and without meaning to be unkind, he’s not good at it… he can’t be, ‘cos he makes to many wrong moves”. As ar kid puts it, “Ross is the best shooter in the club, with either foot, and he’s looking to shoot – GREAT!. He’s not (yet) a combative header of the ball but nonetheless, he’s instinctively the best actual footy player we’ve got”. You can see from large elements of his game that Ross doesn’t lack confidence to take the ball and try to do things with it, what’s possibly lacking is real, 100%, I know I’m the best on the park self-belief. When have you ever seen a Zidane or Rooney look like they’re not entirely certain of what they’re doing and believing that they’ll do it? The key as we see it to getting the best out of Ross and allowing him to truly express himself is to put him much further forward, at best alongside the main striker, at worst just behind. Put Ross in the area of the pitch where the thinking time is the most reduced and instincts have to take over and watch him – and us – flourish. 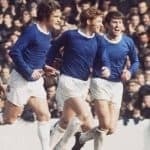 Ross is certainly not and could not be played as a single play-the-ball-up-to-me Alan Shearer-type centre-forward but, and the older Evertonians, like ar kid, amongst us will remember that, there have been role models and exponents at this club – like Alex Young – of a subtler, more dangerous, less blunt instrument kind. Ross, like the Golden Vision is a great dribbler, so long as he’s not thinking about it – or doing anything but than which his instincts tell him to do!! Take his box-to-box goal against the Barcodes at St.James’ Park a couple of years ago. He got possession and set off. Ross seemed like he only had one thing on his mind – a worldie. On he went, a couple of twists and turns and a switch onto his right foot and BANG – GOAL. Did he look around for support, a runner, someone to play a one-two with – no chance. Right from the moment he set off, he was on football auto-pilot, no thinking, pure instinct telling him to run away from, run around, run through the opposition with the ball at his feet and plant it in their net. Ross looks to us like a player who needs encouraging, needs mentoring, and not berating, and certainly not from the stands. He has God-given talent and attributes, and for ar kid and I, we’d push him further forward… and trust him – play him where he can really hurt people… and celebrate! !